A few months ago, I led a workshop on intentional writing at Fearless Fest (a student-centered celebration of the spirit of yoga led by two local friends). I attended the entire weekend-long event, and found myself having the same conversation again and again with different people—about the ways we avoid ourselves. When we write, do yoga, or meditate (among other things), we show up for ourselves. We face our emotions and feelings and self at that present moment. And that can feel scary. So, all too often, we spend time and energy and money putting barriers up between ourselves and…ourselves. Music. Podcasts. Books. Netflix. Education. Social media. Work. All of these things (and plenty more) can be healthy parts of our lives. But they can also be methods of distraction, ways to avoid being alone with ourselves. When I initially wrote this, I moved on from that point to another I wanted to make (about how we can deal with this tendency). But as I read back through it, I felt that I was rushing past something important. I wasn’t giving us enough time to really sit with this idea. Here are a couple of prompts we can all use to think about our tendency to avoid ourselves, and the impact of when we do…and when we don’t. How and when were you comfortably alone with yourself? What did that feel like before, during, and after? How and when did you avoid yourself? What did that feel like before, during, and after? How and when were you present and intentional? What did that feel like before, during, and after? How and when were you acting on autopilot? What did that feel like before, during, and after? Do you see any patterns emerging in your answers? Now, this is really important: Attach no judgment to your answers. This isn’t about being right or wrong; it’s about simply being aware. We’ll talk more about this next time (I saved the rest of my writing to share with you then). This time around, let’s just take a moment to be aware without needing to take any other action. Enjoy that moment—it’s one in which you haven’t avoided yourself. And that moment is enough. 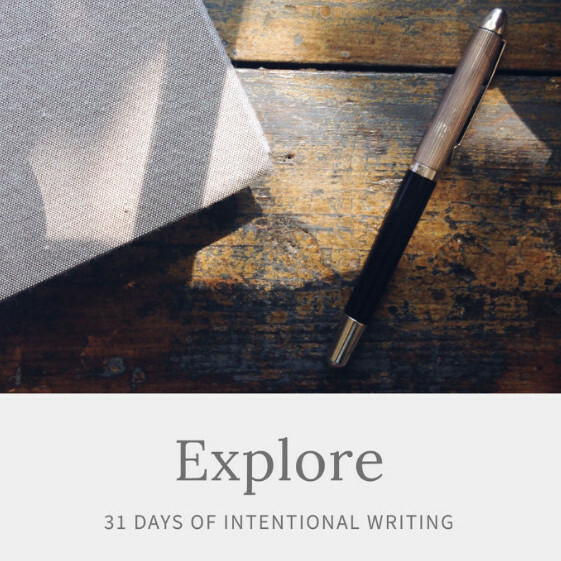 check out Explore: 31 Days of Intentional Writing. and another guide that will help you use what you created—both momentum and words—as you move forward. 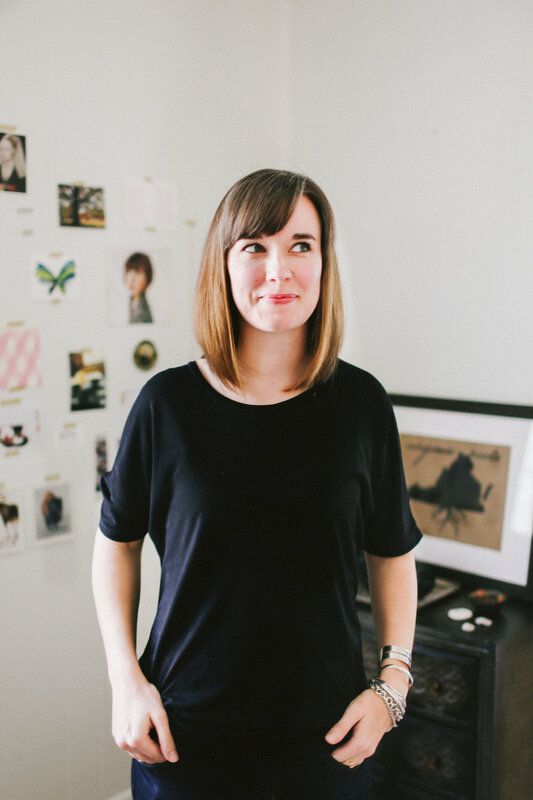 Explore is self-paced, but if you’d like some guidance and accountability as you work through it, let me know! We can easily set up regular check-ins to help keep you on track. If you’d like to explore yourself more deeply, as well as experiment with an intentional writing practice, check out Explore right here! I'd like to get emails!